This post is a response to this month’s T-SQL Tuesday prompt. 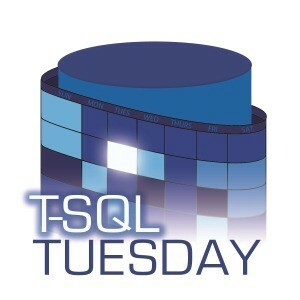 T-SQL Tuesday was created by Adam Machanic and is a way for SQL users to share ideas about interesting topics. This month’s topic is Fixing Old Problems with Shiny New Toys. I know that lots of users in the SQL community cringe when they hear about JSON, NoSQL, and other non-relational database storage options. I get it. Lots of times a string storage format compromises the many benefits SQL has to offer: indexing, data integrity, simple querying, oversight into schema changes by developers, etc… I’ve seen (and written) some queries that perform like molasses in winter solely due them being in a non-sargable string format. Yet, with all of those downsides I still love JSON. I think there’s a happy middle ground where DBAs and developers can agree on when it is appropriate to use JSON. Would I ever want to use JSON in a data warehouse that is being heavily queried for analytics? No. Would I also want to use JSON where performance is extremely important? No. Would I want to use it in an application where data or schema integrity is extremely important? No. However, I love using JSON when capturing dynamically structured user input, especially if the database is being used only to persist the data instead of analyze it. I love having JSON in the database because it so easily serializes/deserializes between JSON and my C# models. 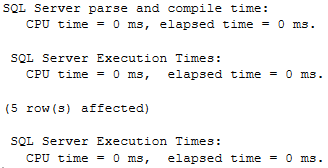 If I want low latency to my webapp, I also might write the JSON from the app to the database and then have it get queued to transform into normalized data by an ETL later on. These reason in particular are what make me incredibly excited for the new JSON functionality in SQL Server 2016. Okay, I guess there are some valid uses for JSON. What are my options for using JSON in SQL Server? Before SQL Server 2016 was released there was no support for JSON in SQL Server. None. Zilch. Zero. The best thing we had was Phil Factor’s amazing JSON parsing user defined function or writing your own CLR. Phil’s function is truly amazing and it cleverly uses some built-in SQL functionality to deserialize almost any type of JSON string you can throw at it. It does however have downsides — the function has a few edge case bugs (try adding a space before any “:” in your JSON), it does not allow for easy querying of the JSON, and the function needs to be added to any database you want to use it on. I’m not trying to downplay Phil’s function — I love it and use it in a lot of my code — but the fact of the matter is that it is a very clever workaround for something that Microsoft wasn’t supporting at the time. -- This version of that data has new lines removed to save space. -- Please see https://gist.github.com/bertwagner/965acde93706a9a5d772509e56247a1c for the neatly formatted version of the data. Basically we have a JSON string that represents five users and some of their attributes (note: I would argue that storing this much data about an individual would be better suited to fit into some structured tables, but alas this was the type of data that was easy to generate for example purposes). Since there are multiple key’s named “NAME”, we need to add a LAG() function to help identify the property’s key so we can ensure we have the correct one. Nested queries required since windowed functions can’t run in the WHERE clause. I love the syntax of the new SQL JSON parsing functions: it’s easy to remember, easy to use in real life scenarios, and is very fast. This is one new feature of SQL Server 2016 that definitely makes my life easier and makes any other ways of parsing out JSON data obsolete. If you are interested in learning more about JSON in SQL server, I’ve been blogging the past few weeks about how to use all of SQL’s new JSON functions. There’s also one bug that I found with how SQL handles JSON deletes that I submitted to Microsoft Connect if you want to upvote and see JSON continue to evolve on SQL Server. This post is a response to this month’s T-SQL Tuesday prompt. 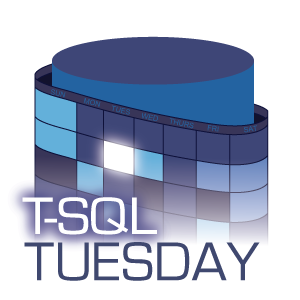 T-SQL Tuesday was created by Adam Machanic and is a way for SQL users to share ideas about interesting topics. This month’s topic is SQL Server Bugs & Enhancement Requests. Being a frequent user of SQL Server Reporting Services for the past 6 years has made me blind to the annoyances that I had with the software when I first started using it. For example, I’ve learned to deal with not being able to easily change the order that reports appear in the Solution Explorer. I am no longer frustrated that I can’t change the order of datasets in the Report Data pane. I’ve grown accustomed to editing the XML of the report to accomplish these annoyances and many others. Why can’t I organize my reports in sub folders!? Don’t be fooled by my photo manipulating skills, this New Folder button doesn’t actually exist in SSRS. Seriously. Visual Studio allows me to organize my files in sub folders in nearly all other project types: C# console apps? Check. ASP.NET MVC solutions? Check. Why then can’t my SSRS solutions do the same thing? If you look at the Microsoft Connect for the issue more than 200 people agree. It’s ridiculous this functionality isn’t built in. Not only does Visual Studio have the capability in other solutions, but reports can be deployed to multiple different folders on the SSRS server itself, leaving the only missing link a context menu action that says “Create New Folder.” I know what I’m asking for here is a “basic” change, nothing nearly as complicated as adding an additional QUALIFY filtering clause (which would be great to have too), but that just makes it more reason that this should have been fixed a long time ago! However, there is a brief glimmer of hope. Microsoft has been releasing updates to SQL Server Data Tools somewhat regularly the past year, including bug fixes and feature requests from Connect feedback. Let’s hope they continue to get better about fixing issues like these so that everyone will be able to right click > Create New Folder in their SSRS projects sometime in the near future.